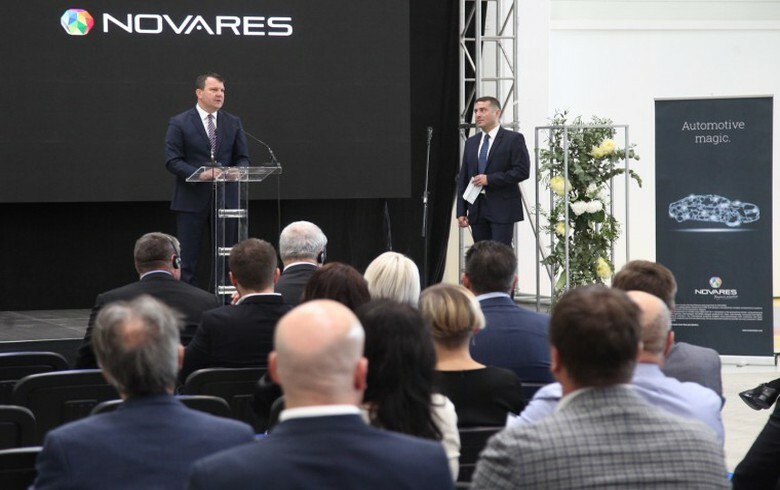 BELGRADE (Serbia), October 16 (SeeNews) – French car parts manufacturer Novares has invested 5.2 million euro ($6 million) in the construction of a new production unit at its plant in Zrenjanin, Serbia's finance minister Sinisa Mali said on Tuesday. The company has created 50 jobs at the new production unit, Mali said during the official opening of the facility, according to a video file posted on the website of Serbian news agency Tanjug. The government of the autonomous province of Vojvodina, in northern Serbia, has provided a 200,000 euro subsidy to Novares for the project, the head of the provincial government, Igor Mirovic, said in a statement on Tuesday. The manufacturing plant of Novares in Zrenjanin was expanded by 3,300 square metres, Mirovic said in a video file posted on the website of Tanjug. Novares will have a total of 240 employees at the Zrenjanin factory in 2019, the Vojvodina regional government quoted the CEO of the French company, Pierre Boulet, as saying. "A large part of the parts produced here are installed in the most luxurious cars of today such as Jaguar, Peugeot, Porsche and Bentley," Mali said. Novares is manufacturing plastic products for the automotive industry and currently has about 190 employees in Zrenjanin.